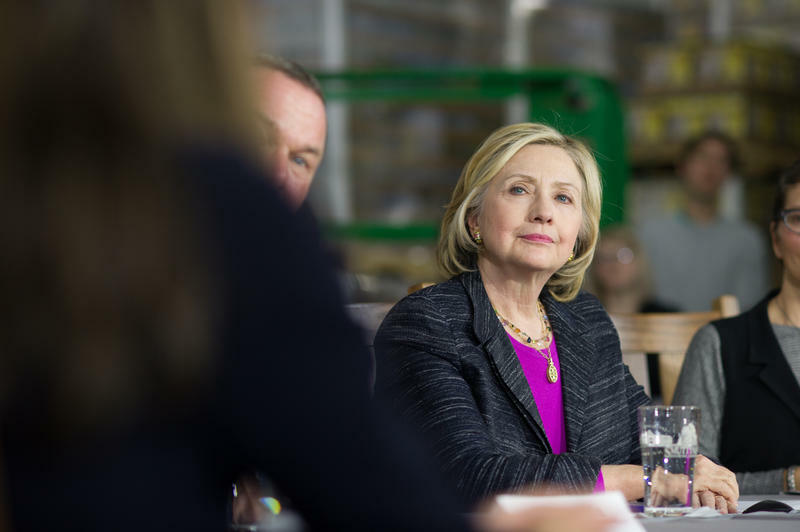 Hillary Clinton at a campaign event last year in Manchester, N.H.
Hillary Clinton is back in New Hampshire on Tuesday. 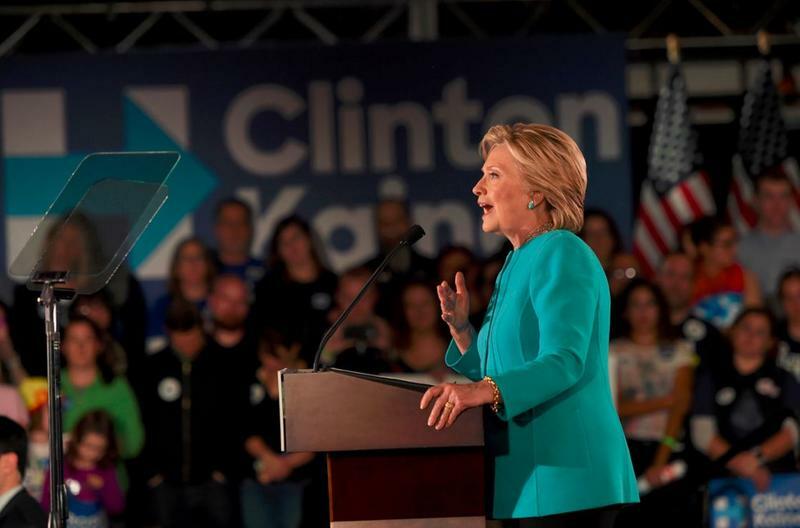 The former Democratic Presidential candidate and Secretary of State will be in downtown Concord signing copies of her new book. This is one of many stops Clinton has made for her book tour. The book "What Happened," is about her 2016 presidential run against President Donald Trump. The sold-out event kicks off at 1 p.m. at Gibson’s Bookstore on South Main Street. Roughly 1,000 people are expected to attend. Clinton will not be taking questions from the media or the crowd. Hillary Clinton is returning to New Hampshire to sign copies of her new book, "What Happened." 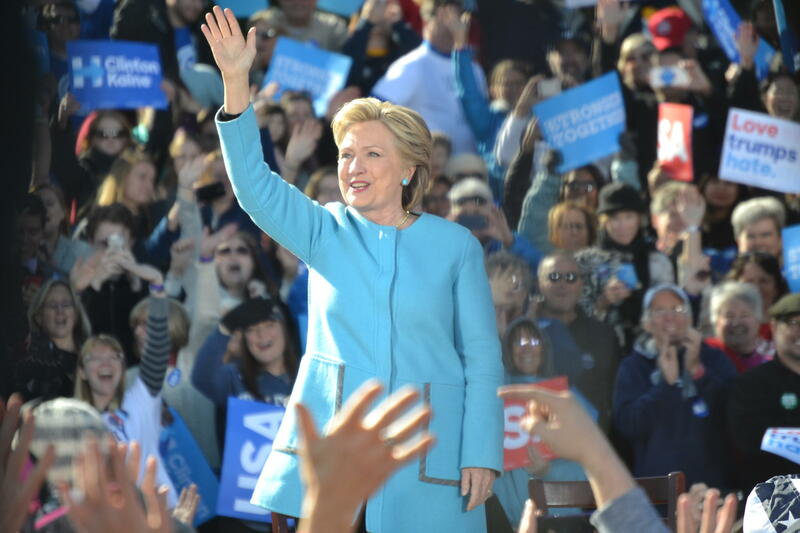 The former Democratic presidential nominee will be at Gibson's bookstore in Concord on Dec. 5. Tickets to the event cost $30 and include one copy of the book. They go on sale Sept. 5. Clinton lost the 2016 Democratic primary in New Hampshire to Vermont Sen. Bernie Sanders, but the state picked her over Donald Trump in the general election. Hillary Clinton was in New Hampshire on Sunday night making her closing argument to voters here. The musician James Taylor warmed up the crowd Sunday night at the Manchester Radisson Hotel—one ballroom and two overflow rooms of Clinton supporters taking one last moment to bask in their candidate before Tuesday.